This is a real DXN success story. Everything had begun about 5 years ago, when a Hungarian online marketing expert decided to change his life. I am very happy about that he and his family is a good friend of us. I am really proud of them, and I could make my dreams come true with that online system, what he put next to DXN. I could build up a huge DXN network with the online tools and with my online marketing experiences. What I really like in him, that he is still a very nice, helpful and professional man. Not just a very successful business man, but a good father, husband and a great friend and leader. Because leader is the most important factor in any business. If you have a good one with a good mind and good heart, that will solve almost any problem. A good leader will always find a way to create a great opportunity for you, and to help with great tools and with knowledge. I am glad that I could spend more time with him, and I could discuss with him about DXN Business. In October 2013, we flew to Spain to my Spanish team to take a presentation there. 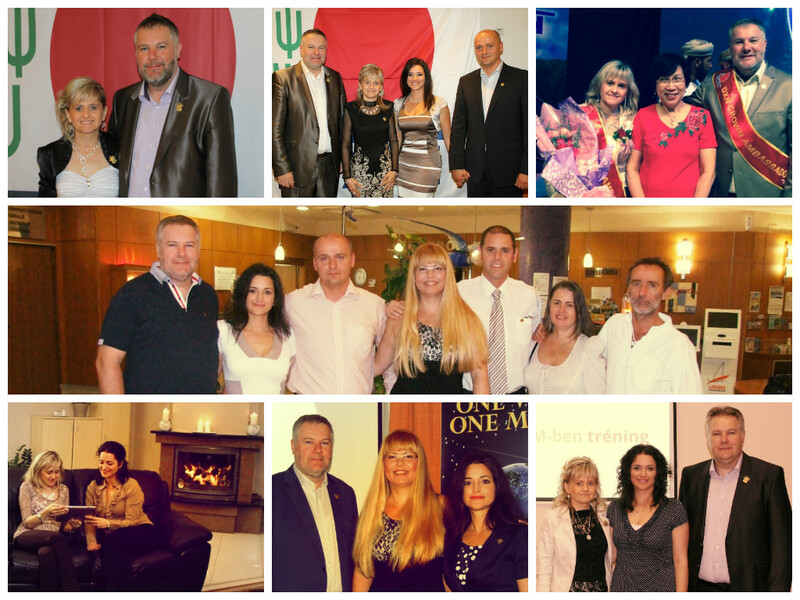 They were so happy to get know our main European DXN leader. 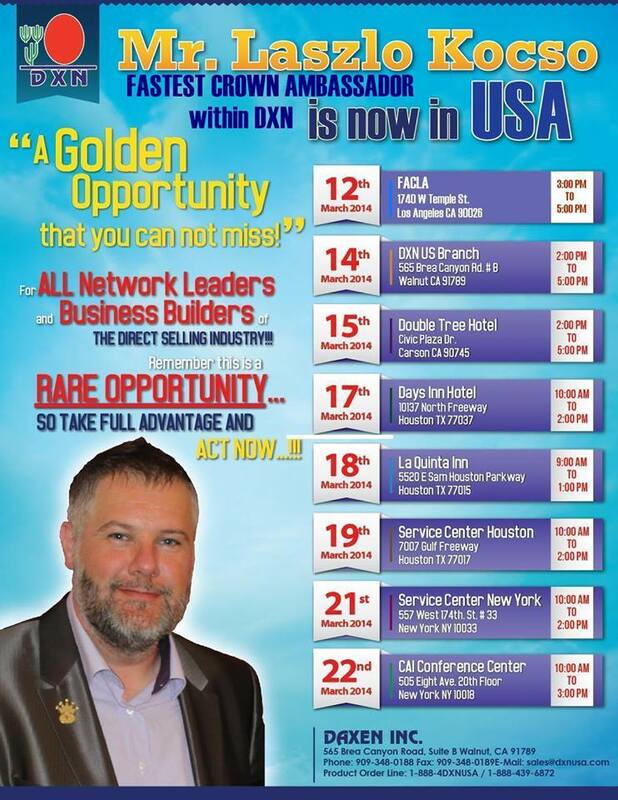 And here is a good news for all DXN Network Leaders and Business Builders Mr. Laszlo Kocso, the Fastest Corwn Ambassador within DXN is now in USA! A Golden Opportunity that you can not miss! Meet with him personally and get know his success tips! Would you like to start your DXN success story now?